Fabulous move-in ready single story home in the Meadowfield community. A stunning kitchen with a large pantry and seating area greet you as you walk in. Wood-look tile and warm blue walls add an elegant feel to the main living space. Your large master retreat has a walk-in shower, dual vanity and separate soaking tub. The home features two additional spacious bedrooms with a shared bathroom and an office. The rear deck overlooks a spacious backyard with plenty of room for a pool, and backs to a preservation area. 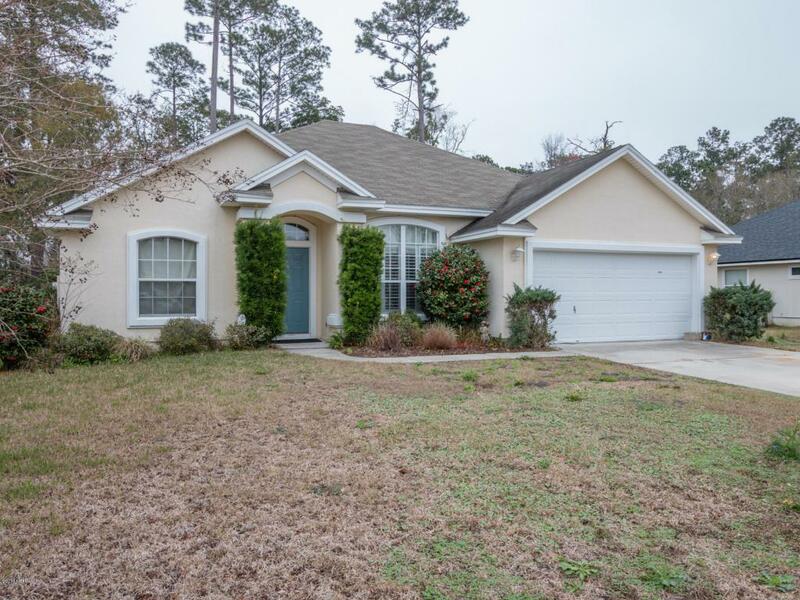 Convenient access to Mayport, Kings Bay, Jacksonville International Airport, this established neighbourhood has low HOA fees. All this and just minutes to the beautiful beaches of Amelia Island. Welcome home!